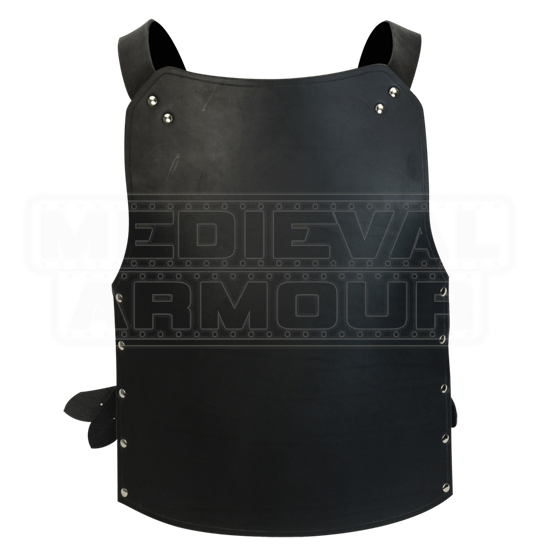 This simple yet effective breastplate is our least expensive route to body protection. 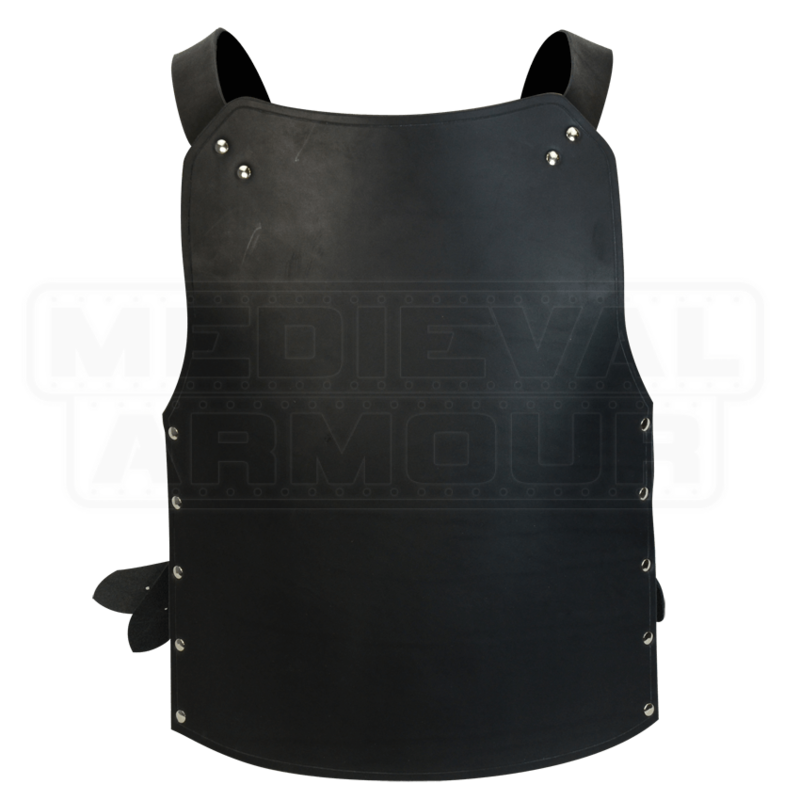 Modeled after a genuine 14th century style, it provides basic protection with good mobility and even kidney protection. There are 2 hinged leather sections on each side that will wrap around your body for extra protection. Made with 13-15 oz. heavy leather, it will withstand a lot of abuse. Order this armor by waist size. It is available in black or brown. This armour is custom made to order. *See our return policy for information on custom items. This is a good solid piece of armour, but is meant to be worn standing up. It is a quality piece, but if you sit down with it on it will cover your mouth.